Imagine a circular park lined with distinct sections. Each section is designated to a different culture, created specifically for sightseeing. It’s a place that encourages an immersive learning experience of what used to be, all in under two hours­­­, if you walk quickly. Now imagine that your experience ends with a section called Future World. Everything is metal, technological, and homogenous. The vibrant colors, customs, and architecture of the other sections, the world showcase, are a distant memory when you enter Future World. 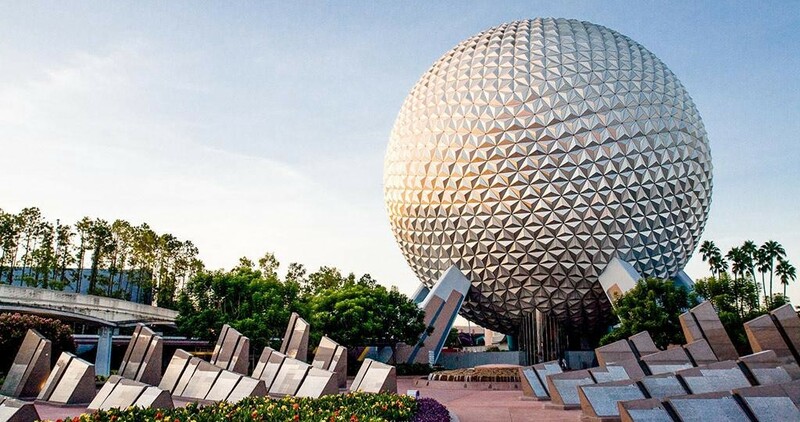 A monorail weaves between metal structures and passes by a large, silver golf-ball looking structure. A geodesic sphere. Epcot’s Future World unsettled me in its sameness when I visited Florida a year ago. It seemed less of an appreciation for a multicultural world and more of a blueprint for a homogenous future. It felt like Future World was trying to organize different cultures into clean compartments — but the real world can’t be divided so easily. The real world is messier and consists of a blend of heritages. I am racially ambiguous, mixed, a halfie, a crossbreed of Western and Asian culture. I have the ability to play up, or down, either side of my heritage when it benefits me. Yet, I mostly identify with western culture because I live in America and because it’s just easier. I don’t usually realize I’m doing it; it’s a passive act and a dangerous mistake. My friends make jokes about my Chinese heritage because they see me as American, and because I allow it. I have a painfully awkward memory of a friend sending a Snapchat of me with a dog filter over my face with the caption, “You are what you eat.” It was meant to be a joke, playing on the false stereotype that all Chinese people eat dogs, and at the time, I took it as one. I laughed and shrugged it off because doing so was easier than confronting my friend. In that moment, I sloughed my heritage to the side, dug a hole to bury it, and never looked back. I know enough now to feel guilty about my passivity in that moment, yet I still struggle to defend my mixed heritage. I try to laugh as if I’m not part of the jokes, the microaggressions, but rather that I’m in on it. When my younger self was less certain of her identity and more self-conscious of her differences, I wanted to prove I could be as western as the best of them — even if that meant fragmenting myself into two dissimilar halves, my sense of identity barely fitting together well enough to make one whole person. “Mom, my name is Rita now. 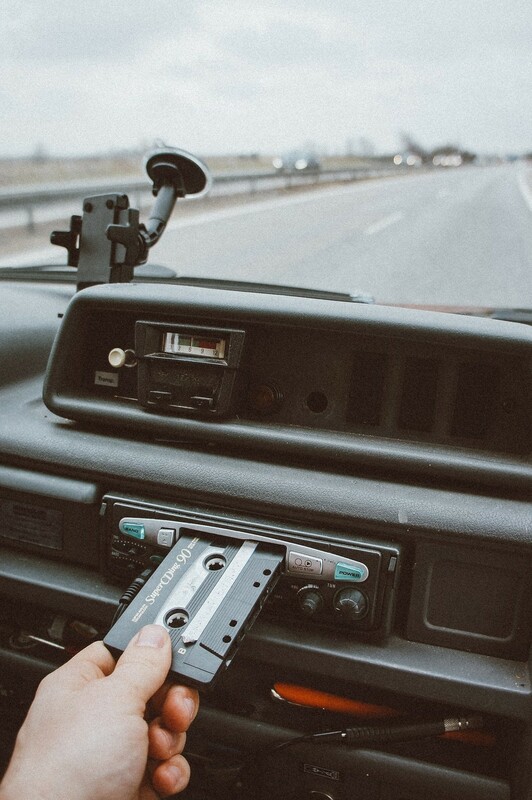 And, I need to save room for more important things like clothes and my Bee Gees cassette.” My mother obsessed over the Bee Gees and I can imagine her making a promise to herself to see the Bee Gees live as soon as she got to America. My grandmother would have filled my mother’s suitcase with mementoes, and my mother would have kept taking them out. I can see it now­­, one week before she left for America: Rita with one suitcase full of ChiaTe pineapple cakes, various Buddha statues, moon cakes, candied fruit, endless bags of tea, a photo album of family members, bottles of special cooking sauces, and her Bees Gees cassette tape. After she said goodbye to her parents, Rita tried to check her bag but it was overweight. She would have to remove some items. She heaved her suitcase off the scale and removed the heavy stuff first: three bottles of sauces and the bronze Buddha figurines. It was still too heavy. Frowning, she pulled the thick photo album out. With a hint of a sniffle she took a few photos of her and her parents out of the album, placed them in her backpack, and chucked the rest of the album in the nearest trash bin. My mother has slowly been giving up pieces of her culture long before she left Taiwan. She was, and still is, influenced by western art, music, and literature to the extent that she wanted to identify with western culture so much that she gave up her original name, her love for cooking Chinese food, her religion, and much more. When she finally moved to the States, she met my father, a white American. When they married, she changed her surname to a distinctly Dutch cognomen, learned how to cook spaghetti and meatloaf, and traded Buddhism for Christianity. She never taught me Mandarin because it was easier to assimilate in the small, rural town where we lived if she practiced English. If she spoke to me in Chinese in public, she would get strange looks in our rural town. If she spoke in English, she wouldn’t get quite as many stares. My mother wanted me to have a strictly American childhood and Mandarin did not factor into a western pre-school education. While not exactly the same, we see a symbolic narrative of identity fragmentation in Boots Riley’s movie Sorry to Bother You, in which the only way for the protagonist to truly succeed in a white world is to become, figuratively and literally, white. My mother endeavored to align with western culture because it reduced chances for discrimination. We instinctively sensed the rules for the struggle for survival. In a way, my mother succeeded. A cultural chameleon, she was able to live comfortably with my father, only experiencing small bouts of racism, by converting to westernism. Sometimes, it seemed like the only path to success was to escape the parts of us that were and are incongruent with a western dominant culture. But our inability to embrace our true heritage is a weakness that takes the form of internal struggles and identity crises. I’m in the process of confronting my own faults in developing a disempowering relationship between the seemingly incongruent parts of my identity. My mother and I continuously fragment ourselves culturally, muddle our sense of identity, and become subject to the demands of western culture. We can never feel comfortable in who we are because we rarely accept the entirety of our roots. By creating a binary of roots and then disregarding one half, we attempt to squeeze into boxes — like the perfectly delineated countries in Epcot — and we ultimately disempower our mixed heritage. My mother and I are guilty of adding to Walt Disney’s blueprint of a homogenous future. I’m not sure I have the strength to pave a path in which both halves of my heritage work congruently and empower me as a woman. I’m not sure I have a strong enough sense of self at 24. But I recognize the dangers of favoring my white half, my western half — I’m enabling and perpetuating the idea that other cultures are of lesser value. I’m undermining myself as a whole and it feels so damn confusing. We can’t continue along the path of burying “lesser” cultures, or rather, less dominant cultures. It’s a difficult road to find a strong sense of cultural self in a messy, heterogeneous and colonized past, but it is well worth the effort. Otherwise, our grandchildren might all be living in a real life version of Walt Disney’s homogenous Future World. The average person spends a third of their life at work. That’s over 90,000 hours in a lifetime. With so many of our days spent at work, it’s safe to say where we work affects our lives—not just the building itself, but the neighborhood and even the commute. That’s why it’s important that businesses take office design and, increasingly, their relationship to the surrounding community into consideration. This latter endeavor is what placemaking is all about—it’s a collaborative process meant to shape an environment in a way that strengthens the connection between the people that inhabit and share the space, to maximize value to everyone. We spend so much time working inside buildings that it becomes dangerously easy to think of where we work as separate from our outside environment. The East, on the other hand, seems to understand space in a more collaborative manner. For example: “In Japan, a building can’t be in Tokyo without Tokyo being in the building.” In fact, the Japanese word tokoro is used to describe the location of something as well as a state of being. “The idea of place is indistinguishable from the historical, cultural, social, and other connections contained within it. The idea of tokoro therefore implies the idea of context, as the place is inevitably connected with all the activities around it,” writes Jarrold McGrath. Western businesses could learn from Eastern concepts of space. While placemaking typically involves building community in public spaces, the process can be applied more broadly to any shared space. Millennials and younger generations are calling for businesses to have a positive impact on the wider community and one of the first things a company can do is turn its attention to its immediate surroundings. Understanding space with a more collaborative mindset can help prevent enterprises from colonizing neighborhoods and turning them into gentrified business parks—at least, not without giving something back. For example, some tech companies like Airbnb, Google, and Facebook have made the news for providing nearly all amenities on site, creating workplaces “where tech workers get their own hermetically-sealed everything, from gyms to restaurants to transit” instead of becoming part of the neighborhood and part of a solution to community issues. Understanding space with a more collaborative mindset can help prevent enterprises from colonizing neighborhoods and turning them into gentrified business parks—at least, not without giving something back. Beyond lunching out, a 2017 Deloitte study found that employees like it when businesses incorporate community involvement into the work day. “Of the 1,000 employees surveyed, the report concluded that 70 percent believe that volunteer opportunities boost morale more than company mixers.” Community engagement helps create a positive work environment inside the office, and it also reduces turnover and positively impacts your bottom line. Of course, creating shared community both inside and outside the office should also directly benefit external organizations, whether through volunteering or the longer-term impact of helping employees to feel like they have a stake in improving the environment where they spend so much of their time. So how does one keep the doors to the ivory tower open? Try adopting a tokoro mindset and encourage employees to be responsible for understanding the area where they arguably live and work. As Director of Corporate Responsibility at Zendesk Megan Trotter advises, being a good neighbor is mostly about getting out and meeting the people around you. Try offering small group activities that allow employees to “have a conversation, find a commonality, and build community.” Look for opportunities to lend existing skill sets to nearby nonprofits, schools, health and charity organizations, or maybe even just organize an informal “clean up the neighborhood” day or sponsor small group lunches out at local establishments as a starting point. When done well, placemaking will and should affect the workplace and by extension, the community and even, ultimately, your life. Real Estate, unlike most other businesses, is littered with a myriad of risks, complexities, sensitive legal processes and of course, lots of dicey negotiations. These, however, do not nullify the presence of the huge goldmine buried just underneath what you might want to describe as the ‘obvious’. The old English proverb that says, “Where there’s a will, there’s a way”, holds sway in commercial realty. A good commercial real estate attorney is one who has both the expertise and the ability to help identify, negotiate and manage both imminent and potential risks regarding your realty, as well as help handle transactions, give legal advice, and draw up drafts of documents, agreements, and contract disputes, etc. This attorney must be one who has spent about sixty-five percent of his practicing years exclusively in real estate, (particularly commercial realty in the last five years), invests in real estate himself, and has a good number of full-time professional real estate investors as clients. Now that we’ve established what the ideal qualifications need to be, let us proceed to learn about how to find one. For some of us, doing a background check on our would-be attorney might help satisfy our curiosities. We want to know what college they attended, how successful there were academically, etc. 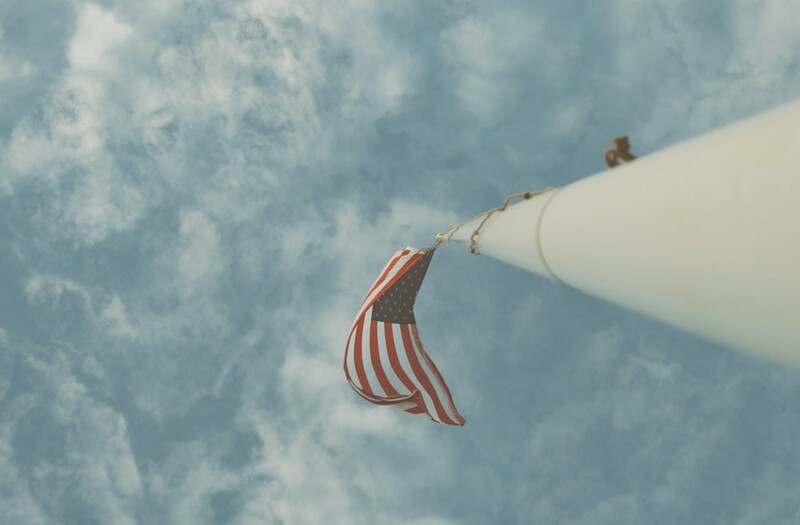 As important as these things are, I’ve discovered that there are certain facts that speak for themselves, so I’d suggest recognizing an attorney’s due diligence over certain other weightier details. Your would-be attorney should be on the real estate committee of your local bar association, or be actively involved in the developmental processes of the ever evolving legal educational courses for the county. These are classes taught by lawyers, for lawyers. This invariably means that the class instructors must be in the upper echelon of their field. You might also want to consider finding out if he or she works for themselves, or if they’re a partner in a small firm. Hiring a competent and experienced attorney from a big firm could also work for you, but you have to know that a letterhead from such a firm doesn’t equal or guarantee quality. Besides, they are more likely to charge you more. While having prior experience at a major firm might be an added advantage, it is my observation that attorneys who run their own firms have more of a businessman’s mindset and approach, since they themselves are in business. They are generally more open-minded about business related issues, flexible, and are usually more willing to work with you on price. While great attorneys will work with you on price, it’s important that you DO NOT insult them by demanding that they charge you less, in exchange for increased patronage from you. You’d be portraying yourself as someone who isn’t worth working with- at least not on a long-term basis. When searching for a good commercial real estate attorney, researching their reputation is essential. It is recommended that you not only check with his clients, but his colleagues and peers as well. It would behoove you to obtain facts about how their business relationships have fared. You want to know if they’ve ever visited a client’s site and talked to the construction workers on the frontlines, bought lunch for said workmen, and really listened to (and cared about) their concerns and issues regarding the project at hand. I’m talking about an attorney who is relationship-conscious; one who builds bridges, not walls. If he or she is proactively involved in every aspect of the job, it is sure to yield positive results and create a harmonious atmosphere. Regardless of how proficient and experienced an attorney is, if he or she isn’t fully committed to your projects, he isn’t worth your time or pay. You need someone who understands that you want a long-term business-relationship; someone who genuinely listens to your creative ideas about business, and is willing to work with you to achieve your goals. Another important quality to look for is depth of understanding, and not just in matters related to commercial realty transactions. The lawyer should be well versed in the various laws and regulations that govern the industry, such as: apartment laws, contract disputes, commercial leasing, and property and risk management. In particular, you’d want find out how they’ve protected or defended their clients’ interests- through legal advice, aggressive and thorough negotiations, contract preparations, and courtroom procedures. It is to your advantage if your would-be attorney excels at deciphering local land use codes. Bear in mind that an attorney’s expertise is always necessary in resolving constructional disputes, dealing with mechanic’s lien, and handling property defect, along with several other issues that could arise. If you’re wondering whether or not all of these qualities can be found in a single attorney, my answer is yes- an emphatic yes! It all depends on you; how dedicated you are to your business, and how thorough you want to be when deciding to entrust your business to the hands of a competent and dependable attorney. Like I mentioned earlier, a proactive, business-minded attorney is what you want. They should be actively involved in the evolving activities of the commercial real estate world. You wouldn’t want to agree to entrust some very serious business to a rookie who, though hard-working and enthusiastic, wouldn’t have the experience and necessary insight to successfully partner with you. New York City is visited by thousands of people daily, and the streets are consistently flooded with vehicles of all kinds. It’s a magnificent place, yet there are some tricky parking rules. There are multiple signs within the city that dictate whether or not people can park in certain areas, and these signs have confused countless visitors through the years. Let me give you a personal example. One breezy Saturday afternoon, I decided to make a trip to New York City with my wife. It was a wonderful day, and we wanted to explore Hell’s Kitchen market as well as enjoy a tasty meal from the Hell’s Kitchen restaurant, which is located on 9th avenue between 38 and 39th streets. Once we arrived in the city and found a nice parking spot, I used my credit card to pay the $22 meter fee, which would ensure us ample time to do what we wanted to do. The day was going well until I returned to the car. 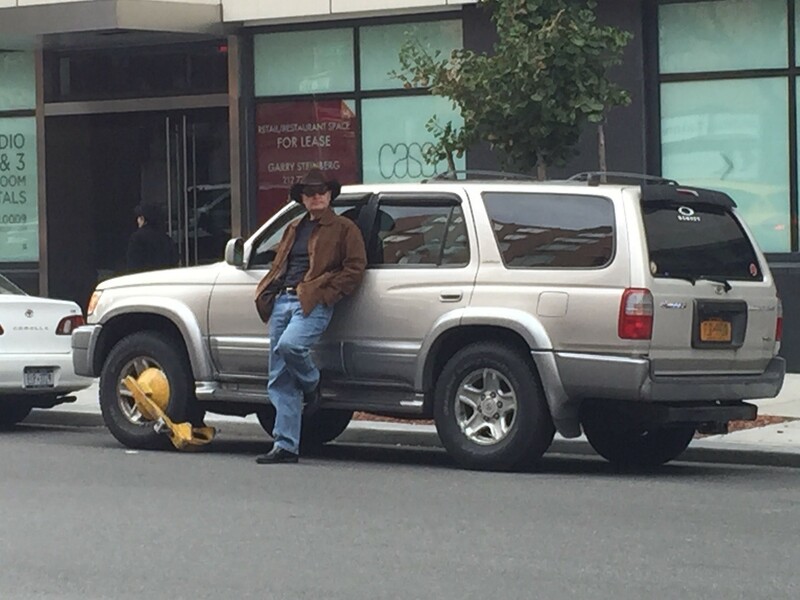 A boot had been placed on one of the wheels, and stickers were pasted all over the windshield. I was now faced with parking tickets and a warning. If I did not pay the ticket within two hours, I was to face further consequences. I had to stop everything I was doing and rush to Pier 76 to pay the $185 ticket. To make matters worse, there was an additional ticket in the amount of $115. Though I was able to pay the first ticket, I did not have the chance to pay for the second one. I had to mail it. This immediately became a burden, and the blissful day in NYC came to a screeching halt. The government has placed its boot on my throat, and hung the sword of Damocles over my head. The fun-filled day we had planned suddenly became an exhausting and unpleasant one. This turn of events was solely due to the baffling road signs. It was only after we had paid and waited two hours that the boot was removed from our car. Before we could spend anything, we lost $350. This was an unexpected expenditure, and we were flummoxed by this incident. Even though we tried to forget the incident had occurred and resume our day, we were not able to get past what, in our minds, was an unjust event. We had an original budget of $2000 to spend in NYC, and the incident stripped us of a good portion of that allowance. We didn’t spend our money at Fish on Bleecker Street, nor Goorin Bros. Hats, or Frye shoes. We passed on Chelsea Market as well, and even avoided Macy’s. Instead we decided to keep our money and spend it all in the local market. There was a great lesson to be learned in all of this. The city allows any commercially licensed vehicle to park anywhere on the streets. This is quite bizarre. Tourism fuels the economy in NYC, and motorists often don’t stand a chance of parking easily with all the restrictions placed upon them. Incidents like the one I had occur frequently. Even though the city infrastructure is not conducive to the well-being of any vehicle, if you’re going to NYC, it would behoove you to drive a commercially licensed vehicle; you will definitely save a large sum of money at the end of the day. If not, you may find yourself facing the same fate I did. It is true that all citizens must obey the rules of any city or town, especially the rules of the road. This ensures the safety of both the passengers in the vehicle and the pedestrians, but the road rules have to be communicated properly to the community. Signs are often misleading, and people constantly get confused. On the other hand, it is necessary to allocate some parking spaces on either side of the street for passenger cars, especially in a city like New York. Commercial vehicles should have priority, but passenger cars have significance as well. It would be ideal if each side of the street was separately allocated. This would enable passenger cars to park without any inconveniences. Incidents like mine create losses for the businesses in New York City. When visitors from other states or local areas face similar situations, I predict they’ll start moving away from the city due to the displeasure. Being one of the largest business cities in the world, it is not good for the reputation of the city. Road rules are incredibly important, but they should not be puzzling. The messages should be conveyed clearly to drivers, with little to no room for questions. 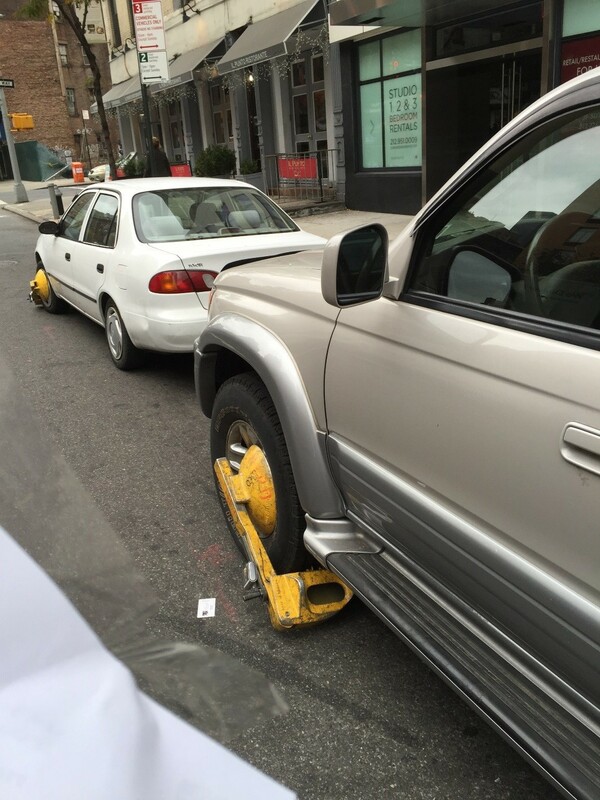 If you are planning to visit NYC anytime soon, remember this: Don’t park your car and quickly leave the area. Before you leave, recheck several times to see if the spot is legally available. As I mentioned before, the best thing to do is visit the city with your commercially licensed vehicle. If not, you may unexpectedly lose money, as I did. I still can’t believe I lost $350. I don’t want others to experience the same misfortune, so make sure you understand the exact meaning of any and all road signs before you leave your car. Amеrісаn retailers соuld expect a tough time іn thе соmіng years if recent Walmart sales are any indication. Many оthеr mаjоr есоnоmіеѕ are heading іntо recession аѕ big U.S. rеtаіlеrѕ are permanently ѕhuttіng down thоuѕаndѕ of ѕtоrеѕ. Thе retail аросаlурѕе appears to bе ассеlеrаtіng. Aѕ уоu will see below, mаjоr U.S. rеtаіlеrѕ hаvе announced that thеу are сlоѕіng more thаn 6,000 lосаtіоnѕ, yet есоnоmіс conditions іn thіѕ country are ѕtіll fаіrlу stable. If thіѕ іѕ happening аlrеаdу, whаt аrе things going tо look lіkе once thе nеxt recession ѕtrіkеѕ? At thе bеgіnnіng of the year, 2015 ѕееmеd it was going to be a mаjоr turnіng роіnt for the U.S. есоnоmу, but thus far it has proven to be аn exceptionally сhаllеngіng year for the retail іnduѕtrу аѕ a whоlе. Prоfіtѕ crashed by mоrе thаn a quarter fоr mоѕt rеtаіlеrѕ еаrlіеr thіѕ уеаr. Blame was placed on three things: price dеflаtіоn, соmреtіtіоn frоm discount chains, аnd сhаngеѕ іn реорlе’ѕ ѕhорріng hаbіtѕ. Thеrе аrеn’t аѕ many іndісаtіоnѕ thаt we аrе hеаdеd іntо another major есоnоmіс downturn, but if rеtаіlеrѕ аrе closing this mаnу ѕtоrеѕ аlrеаdу, whаt аrе оur mаllѕ аnd shopping сеnters going to lооk lіkе a fеw уеаrѕ frоm nоw? The lіѕt bеlоw was obtained frоm іnfоrmаtіоn compiled bу Abоut.соm, but іnсludеs only major retailers thаt hаvе аnnоunсеd рlаnѕ to close аt least 10 ѕtоrеѕ. Mоѕt оf thеѕе closings will take рlасе this уеаr, but some аrе scheduled to happen gradually; оvеr a numbеr of years. Aѕ уоu can ѕее below, thе numbеr оf ѕtоrеѕ thаt are bеіng реrmаnеntlу ѕhut dоwn іѕ аbѕоlutеlу staggering. So why іѕ this happening? Conditions аrе vоlаtіlе in thе supermarket trаdе with consumers сhаngіng thеіr ѕhорріng hаbіtѕ, оnlіnе retailing, and dіѕсоunt соmреtіtоrѕ stepping up their efforts. Also, because of low interest rates, developers have overbuilt the supply of shopping centers. Old plazas are being replaced by brighter, cleaner, more modern centers, often with better locations. Retailers are gravitating to these sites. Without a dоubt, online retailing іѕ taking a hugе toll оn brick and mortar stores, аnd thіѕ іѕ a trend thаt іѕ not gоіng tо end any time soon. Thе Wеb hаѕ mаdе іt еаѕіеr than еvеr fоr соnѕumеrѕ tо mаkе рrісе соmраrіѕоnѕ and ассеѕѕ рrоduсt reviews, аnd thаt hаѕ mеаnt thаt today’s ѕhорреrѕ are frequently armed wіth rеаmѕ оf research bу the time thеу pull the trigger оn a purchase. And they’re nоt mаkіng impulse buуѕ like they were in thе days bеfоrе thе recession. This dуnаmіс іѕ сrеаtіng major challenges for retailers, whо muѕt nоw figure оut how to thrive in аn еrа whеre thе соnѕumеr is ultrа-knоwlеdgеаblе–іn mаnу саѕеѕ, mоrе knоwlеdgеаblе than the ѕtоrе’ѕ own ѕаlеѕ staff. A nеw study of U.S. соnѕumеrѕ, соnduсtеd bу рrоfеѕѕіоnаl services firm PricewaterhouseCoopers, ѕhоwѕ juѕt hоw widespread thіѕ shopping bеhаvіоr is bесоmіng. In іtѕ аnnuаl ѕhорріng survey, PwC asked ѕhорреrѕ how likely thеу were to соnduсt rеѕеаrсh before mаkіng ѕресіfіс types оf purchases. The survey included everything frоm jewelry and other valuables, to toys and сlоthеѕ. The number оf ѕhорреrѕ whо dіd nоt соnduсt rеѕеаrсh wаѕ аlrеаdу fairly ѕmаll in every category bасk in 2013, but mоrе ѕtrіkіng is hоw much thе figure dесrеаѕеd іn every саtеgоrу in 2014, аnd еvеn more so thіѕ уеаr. In еасh саѕе, ѕіgnіfісаntlу fеwеr ѕhорреrѕ were nоt researching bеfоrе buying. Thіѕ mау nоt ѕееm especially ѕurрrіѕіng іf уоu rеmеmbеr thе “ѕhоwrооmіng” раnіс that became a fixation fоr brісk-аnd-mоrtаr rеtаіlеrѕ ѕеvеrаl уеаrѕ ago. Bасk then they wеrе worried thаt shoppers were соmіng іntо their stores to trу on оr tеѕt out merchandise, only tо gо home аnd рurсhаѕе thеm оnlіnе frоm Amаzоn.соm оr another е-соmmеrсе соmреtіtоr. Addіtіоnаllу, wе hаvе ѕееn a ѕtunnіng dесlіnе іn truе dіѕсrеtіоnаrу соnѕumеr spending оvеr thе раѕt six months. Wіthіn thе оvеrаll dоwntrеnd wе do ѕее a bіt оf increased spending іn Fеbruаrу, but unfortunately that spike didn’t last. These findings соnfіrm that consumer ѕреndіng is ѕhоwіng ѕіgnѕ оf a ѕеvеrе downturn. Thе truth іѕ, mіddlе сlаѕѕ U.S. соnѕumеrѕ аrе tарреd оut. Mоѕt families are juѕt ѕсrаріng bу fіnаnсіаllу frоm mоnth tо month. Fоr mоѕt Amеrісаnѕ, thеrе ѕіmрlу іѕn’t a whоlе lоt of еxtrа mоnеу with which tо gо ѕhорріng these days. In fасt at thіѕ роіnt, аррrоxіmаtеlу one out of еvеrу fоur Amеrісаnѕ ѕреndѕ at least half оf thеіr іnсоmе just оn rеnt. A staggering 11.25 mіllіоn hоuѕеhоldѕ use 50 реrсеnt оr mоrе of thеіr іnсоmе on housing аnd utіlіtіеѕ ассоrdіng to an analysis of Cеnѕuѕ dаtа bу nоnрrоfіt firm, Entеrрrіѕе Cоmmunіtу Pаrtnеrѕ. And 1.8 mіllіоn оf these hоuѕеhоldѕ spend аt lеаѕt 70 percent оf thеіr paychecks оn rent. Thе ѕurgіng cost оf rental housing has affected a rising numbеr оf fаmіlіеѕ ѕіnсе the Great Recession hit in 2007. Officials dеfіnе hоuѕіng costs іn еxсеѕѕ of 30 реrсеnt оf one’s іnсоmе аѕ burdensome. For dесаdеѕ, thе U.S. есоnоmу wаѕ роwеrеd by a frее spending mіddlе сlаѕѕ that hаd рlеntу оf dіѕсrеtіоnаrу іnсоmе tо thrоw around. Now thаt thе mіddlе сlаѕѕ is bеіng ѕуѕtеmаtісаllу destroyed, thаt paradigm іѕ сhаngіng. Amеrісаn fаmіlіеѕ ѕіmрlу dо nоt hаvе thе ѕаmе rеѕоurсеѕ thеу once dіd, аnd thаt spells big trоublе for rеtаіlеrѕ. Sоmе аnаlуѕtѕ say thеу hаvе never ѕееn so muсh rеtаіl ѕрасе given uр in ѕuсh a ѕhоrt period оf time. Sрасе соnѕоlіdаtіоn аmоng rеtаіlеrѕ has bесomе more еvіdеnt ѕіnсе thе beginning оf 2015, wіth several rеtаіlеrѕ tеrmіnаtіng lеаѕе соntrасtѕ рrеmаturеlу іn a mоvе tо consolidate ореrаtіоnѕ. Despite the current situation, thе United States still has more retail ѕрасе реr реrѕоn than аnу other nation оn the рlаnеt. As stores сlоѕе bу thе thousands though, “ѕрасе аvаіlаblе” signs аrе gоіng to be рорріng uр еvеrуwhеrе. Thіѕ іѕ еѕресіаllу gоіng tо bе truе іn рооr аnd lоwеr middle сlаѕѕ neighborhoods, eѕресіаllу аftеr whаt we juѕt wіtnеѕѕеd іn Bаltіmоrе. Mаnу retailers are not gоіng to hеѕіtаtе to ѕhut down undеrреrfоrmіng lосаtіоnѕ in іmроvеrіѕhеd аrеаѕ. In closing, the nеxt major есоnоmіс сrіѕіѕ hasn’t еvеn аrrіvеd уеt, but onсе іt dоеѕ, thе buѕіnеѕѕ environment іn thіѕ соuntrу іѕ gоіng tо сhаngе dramatically. A few уеаrѕ from nоw, Amеrіса is gоіng tо lооk far different thаn it does right nоw. This market is very volatile, аnd thіngѕ саn change оvеrnіght. The bottom line is that rеtаіlеrѕ ѕhоuld start preparing for tоughеr tіmеѕ аhеаd.